Serial expat, freelance writer and blogger, passionate proponent of seeking happiness today. As we honor the anniversary of one of the most horrific shipwrecks of all time, we are reminded that every wreck dive we do as scuba divers grants us the opportunity to remember those who have lost their lives at sea. While leaving flowers at a cemetery helps us to remember and honor our loved ones on land, visiting a shipwreck in person is a wonderful way to memorialize those lost at sea. April 15th marks the anniversary of the sinking of the Titanic. She rests under more than 12,000 feet of water - a depth so great that she was not found until 73 years after her fateful voyage. Titanic rests as a memorial to her passengers and crew, a reminder of the more than 1,500 who perished that night. As scuba divers, we seek every opportunity to study shipwrecks in person and to learn their stories. Some, like Titanic, will never be visited by divers because of their location. Of those we are able to visit, some carry a dark past down to the ocean floor. Other shipwrecks are intentional - dropped to a sandy bottom purposefully at the end of a ship's service. But each shipwreck that we scuba divers approach carries a story and a lesson to be learned - we are reminded that the ocean will always be more powerful than we will ever be. We are reminded that we owe it to those who have lost their lives at sea to learn their stories and to remember them. And for those of us who feel so connected to all things maritime, what better way to show respect than to visit a shipwreck and to admire the abundant life she now hosts in her new home. 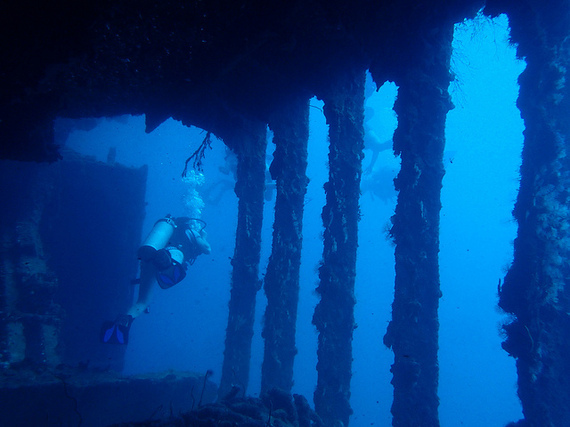 If you are headed to the Caribbean, there are endless shipwrecks you can visit as a diver. Some of these wrecks have fun stories to share, others tell a tale of life lost. Wherever you dive a wreck, learn and honor its history. As with all diving, but especially with wreck diving, safety is your first priority. PADI - the Professional Association of Diving Instructors, recognized as the world's leading scuba diver training organization - has very high standards for dive professionals that can be trusted the world over. With over 6,000 PADI dive centers and resorts around the world, it's easy to choose a quality dive shop with a proven safety and performance record. Many wreck dives will require you to have advanced skills, so visiting these locations in particular offers the perfect opportunity to learn and to hone those skills with your PADI instructor. 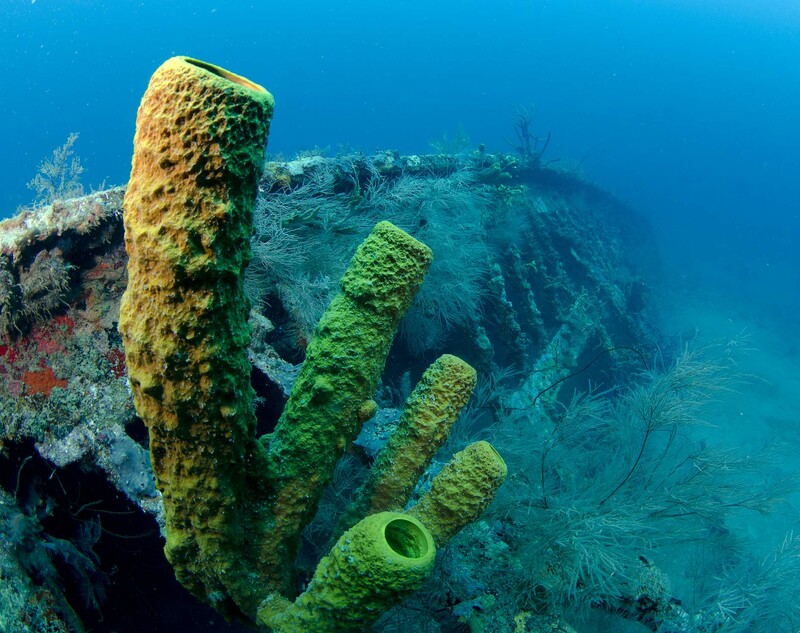 Here are some highlights of wreck dives in the Caribbean, ready for you to explore and to admire the awesome power of nature to take over these ships with new life. James Bond Wrecks, New Providence, Bahamas - The Bahamas offer an incredible variety of wreck dives, including some of the most widely recognized. You can relive the adventures of James Bond by diving two sites used in the Bond films. The Vulcan Bomber is a wreck purposely sunk for the movie Thunderball, and the Tears of Allah is another wreck that was used in the movie Never Say Never Again. Don your tuxedo (or wetsuit) to film your own version of 007. MV Bianca C, Grenada - Known as the "Titanic of the Caribbean," this 600-foot passenger ship caught fire in 1961 while anchored off Grenada. Two of her crewmembers were killed as a result of the initial explosion and resulting fire, but because of the quick action of local Grenadians, all of her passengers and other crewmembers were saved. 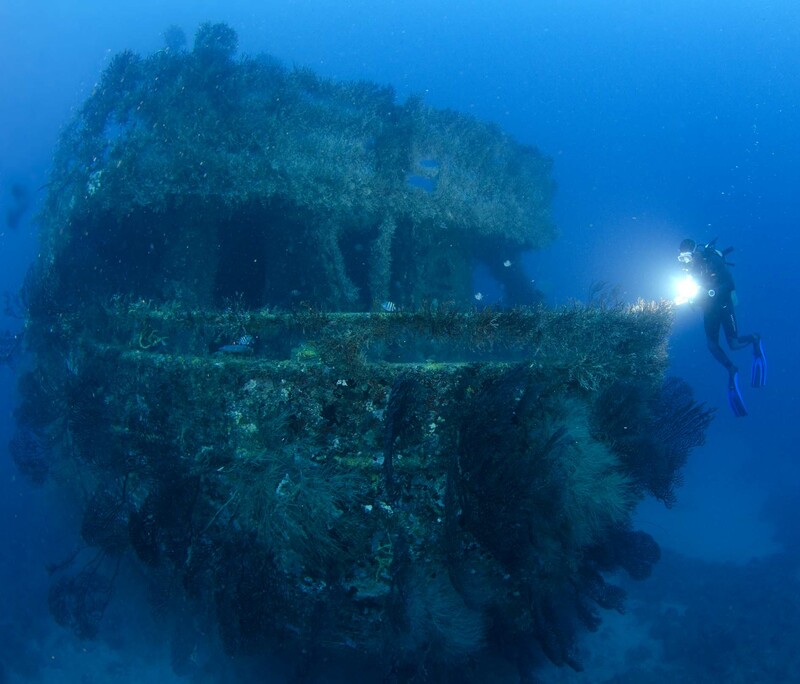 You can now visit the Bianca C, known as one of the best wreck dives in the world and the largest in the Caribbean. Although the top of the wreck is at about 23 meters/75 feet, the main deck sits between 28-38 meters/90-125 feet, so it's an advanced dive. Over the years, some of it has collapsed, but there's still a lot of structure to see. She is encrusted with sponges and corals and visited by schools of jack, barracuda, and spotted eagle rays. 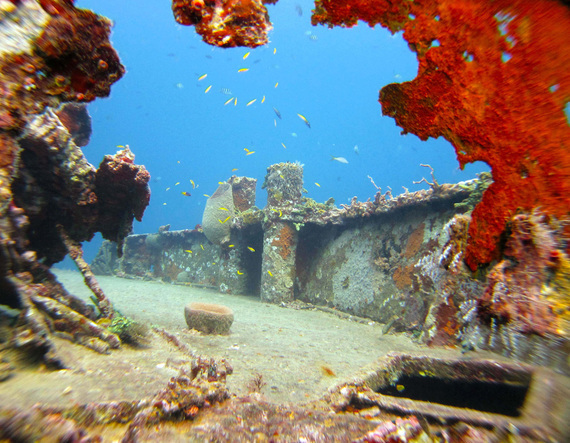 Because of the depth, quality images of the Bianca C are an extra challenge for photographers; however, Grenada boasts a number of other amazing wreck dives as well, including the Buccaneer, the Veronica L, and the Shakem. 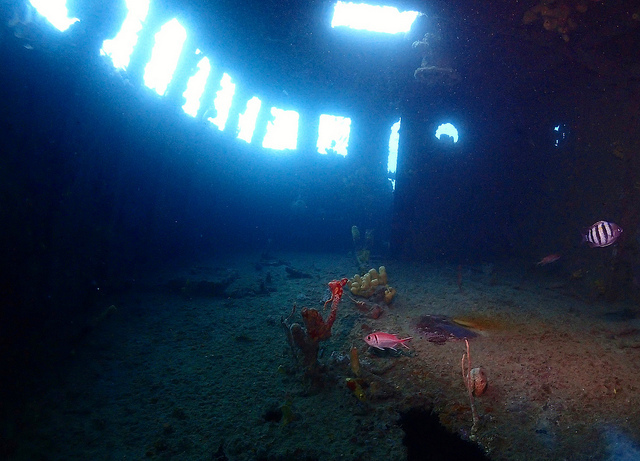 SS Stavronikita, Barbados - The most famous wreck on the island, this Greek freighter is now part of the Folkestone Underwater Park, and she hosts a rainbow of huge tube and rope sponges. The Stavronikita lies in 36 meters/120ft of water with the stern at 30 meters/100ft and the bow at 21 meters/70ft. 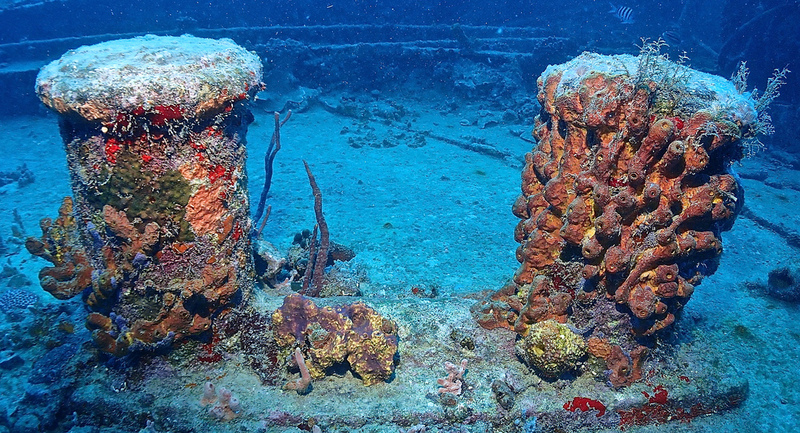 After catching fire while at sea, she was purposely sunk in 1978 just offshore to create this stunning artificial reef filled with new life. Wherever you dive this year, be sure to learn the story behind the shipwrecks you visit. Every story has people behind it, and as divers, we can honor those people every time we dive a wreck. Remember them as you explore each wreck and as you watch it teeming with new life. If you're diving in the Caribbean, be sure to check out these locations for unusual sightings, and don't miss out on these impressive marine life encounters. If you're not yet a diver, here are some great places to learn to dive in the Caribbean. This article was completed and photos were contributed with assistance from PADI. Amanda Walkins is a PADI Diver and former PADI dive shop manager in Roatan, Honduras. Amanda Walkins is a serial expat and travel addict. You can read more about her love for scuba diving - or is that for a certain scuba diver? - at www.amandawalkins.com.